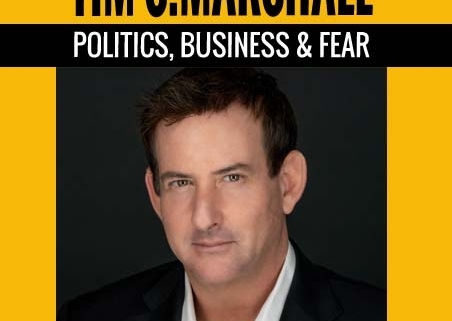 Tim S. Marshall is the Nation’s #1 Expert on breaking FEAR for business growth. Tim is an entrepreneur, revenue consultant for medium to large businesses, keynote speaker, and award-winning author of “The Power of Breaking Fear” (www.thepowerofbreakingfear.com) – recognized by U.S. News as one of the most powerful books in years on making immediate positive and permanent life changes. Tim started his career at a Fortune 500 global tech company, where he was recognized as the #1 Sales Account Manager for 10 consecutive years. In 2008, he started his own company – later recognized by Inc. Magazine for four years in a row as one of the “Fastest Growing Companies in America” and for “thriving through three of the toughest years seen in the living memory of Corporate America.” He built his company, CopySource, 100% organically from the ground up, never borrowed any money, was profitable every single month, and was eventually acquired by Konica Minolta. Tim has taught, trained, and developed some of the most influential businesspeople and professional athletes in the world, and is recognized by many institutions as the next top motivational speaker and corporate trainer in the U.S.